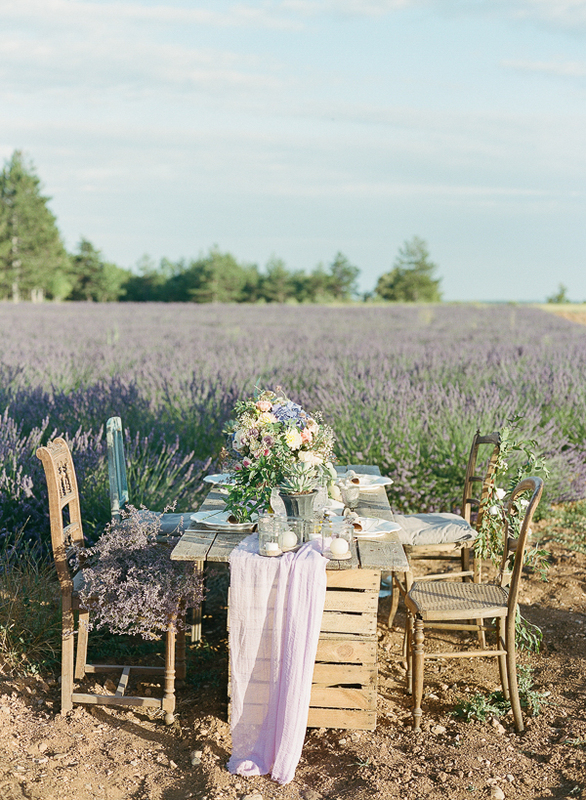 Wild, free and romantic, today’s inspiration takes us on a journey of beautiful possibilities in the famous, lavender fields of the French countryside. 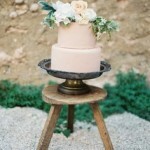 From the charming rustic tablescape to the delicate, hand-made stationery, every little touch is magical. 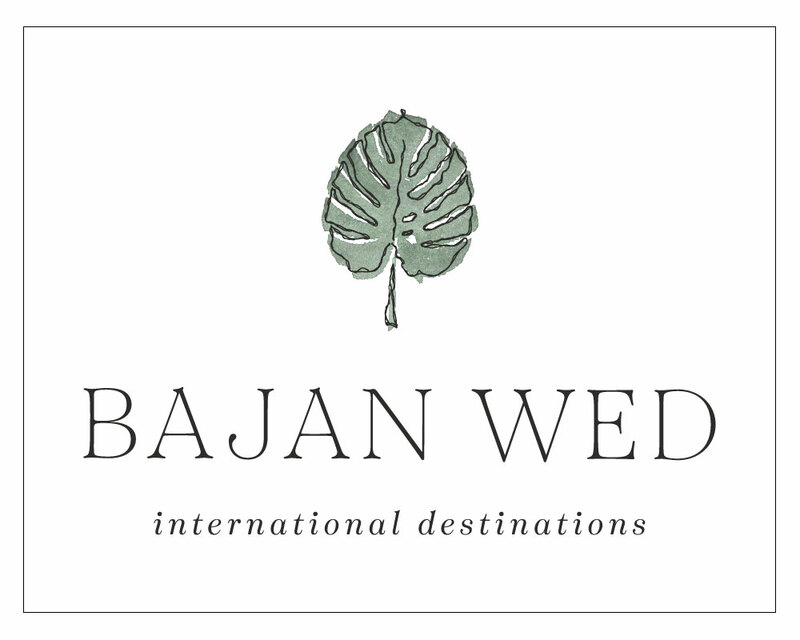 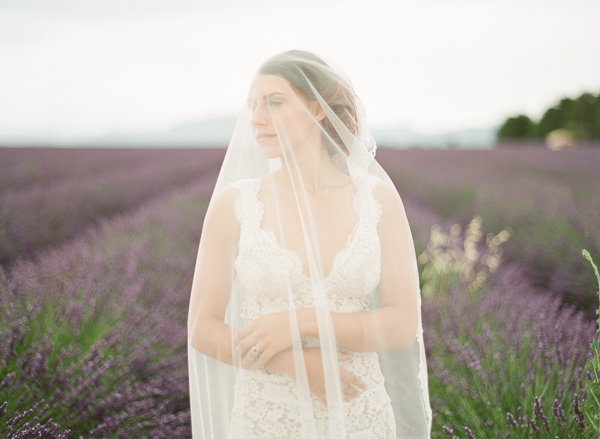 Excuse us while we daydream over these dazzling images from Julie Michaelsen Photography! 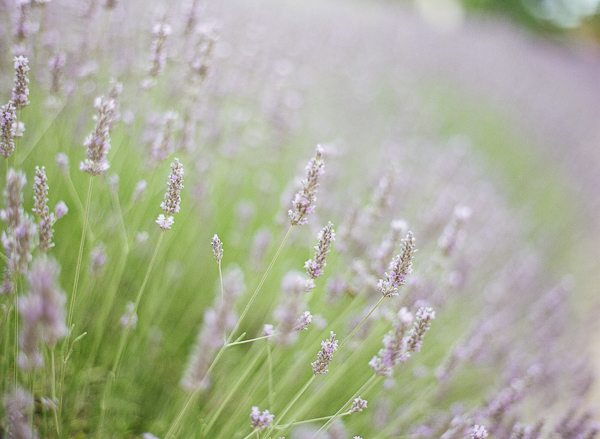 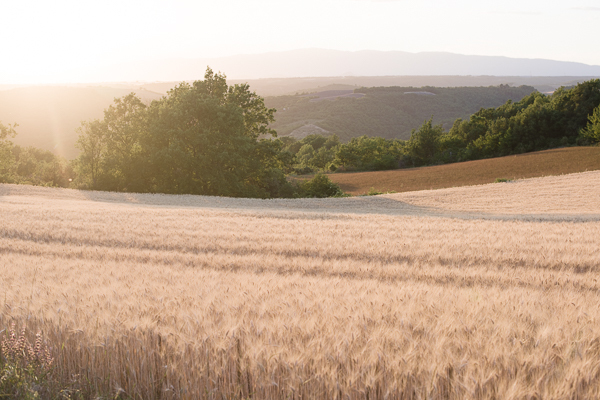 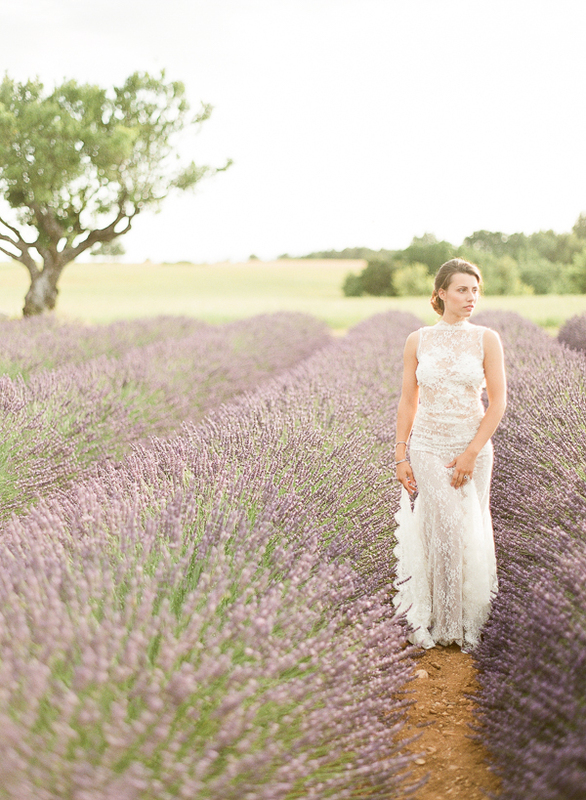 From Julie Michaelsen Photography: In the Aix-en-Provence in France, in the Valensole region, you will find miles and miles of endless lavender fields. 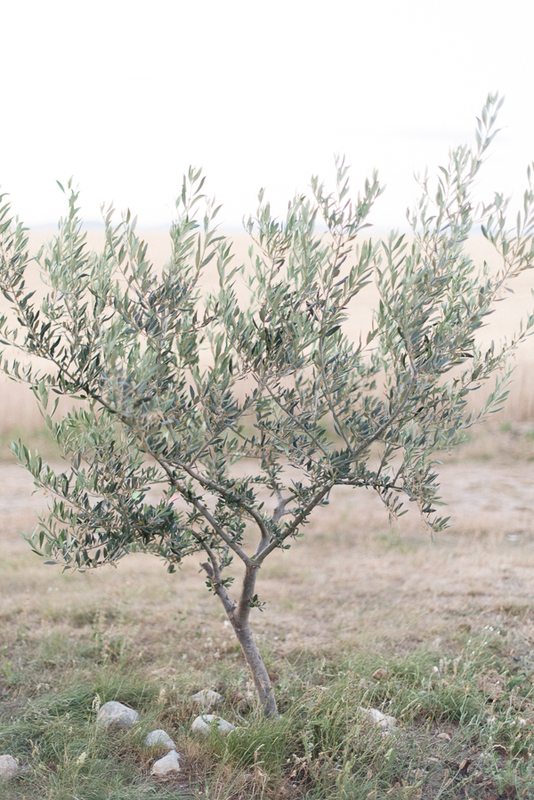 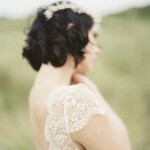 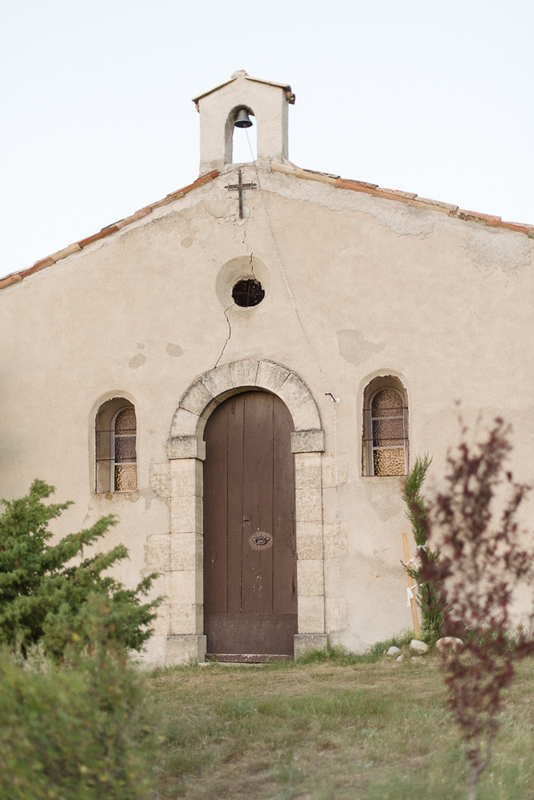 This was the perfect setting for our bohemian bridal inspiration shoot. 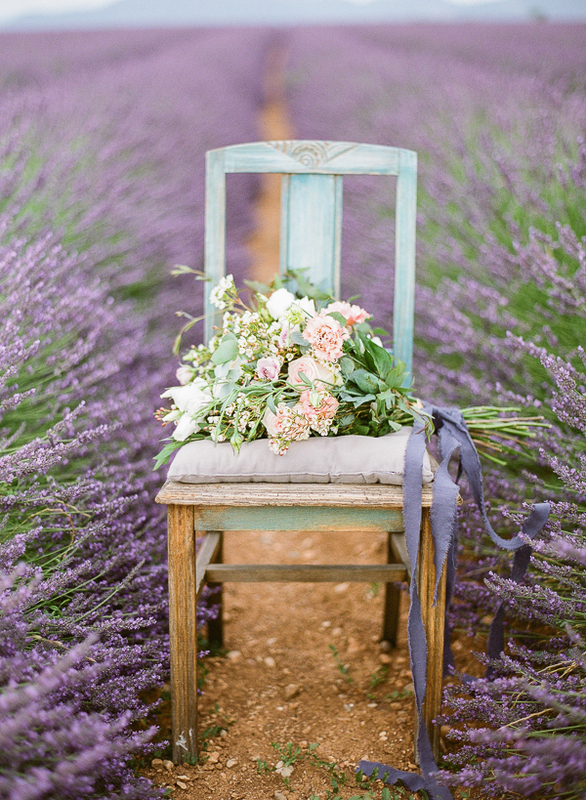 For the palette, lavender hues were teamed with a deep hydrangea blue to create some visual symmetry and add freshness. 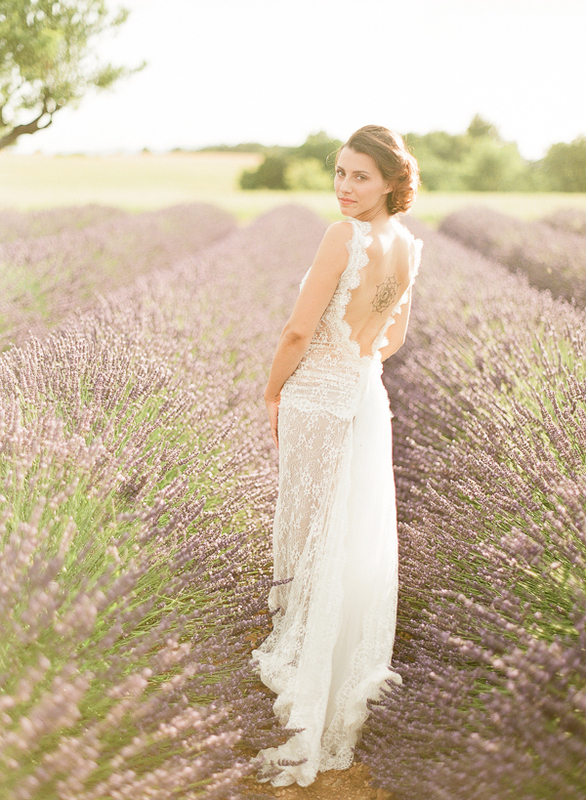 The bride wore local bridal dresses by Qui Qui Lamothe, designed with the region in mind and with romantic lace and ethereal silhouettes. 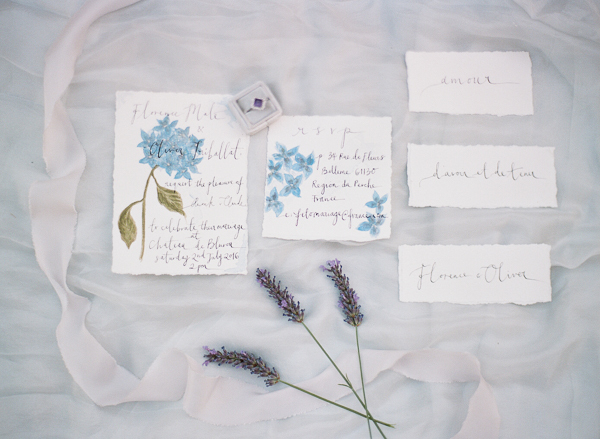 Our stationery and decoration was created by UK based artist Kate Nicole of Oysterbridge and Co who is not a typical wedding stationer. 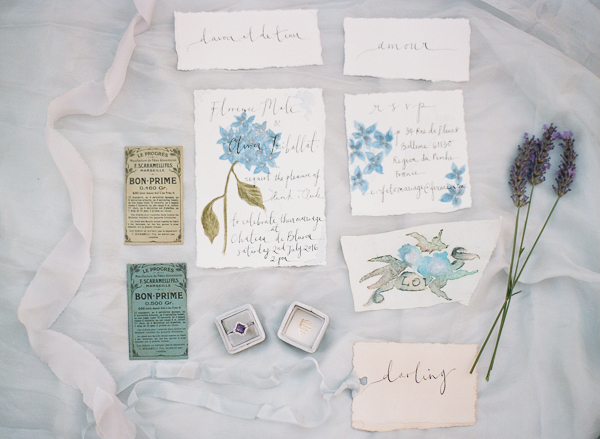 She is a true artisan, lovingly making and painting all her products by hand. 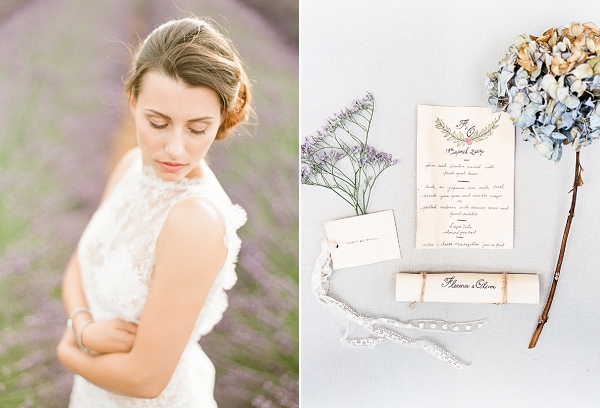 She is inspired by vintage French antiques, so her aesthetic was perfect for this shoot. 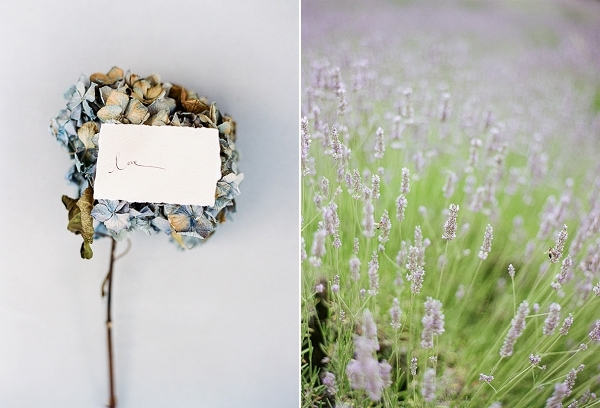 The lavender was focus of our shoot but we wanted to make sure that the florals offset it with a pop of pink hues, whites, natural greens and a contrasting blue hydrangea. 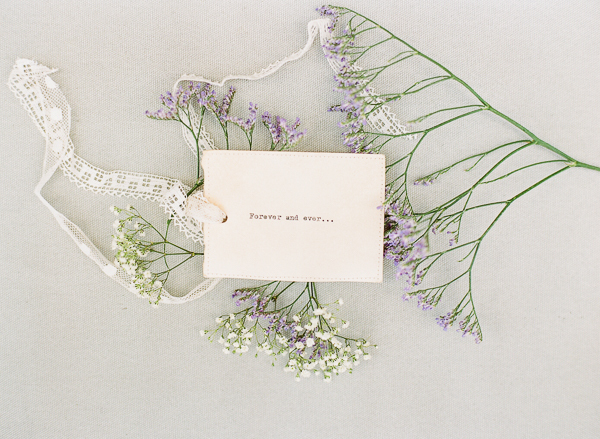 Wildness was key and a sprawling, organic bouquet was the order of the day.